It seems that rumours of green fronts for the next batch of Park & Ride repaints were just that- rumours! NORWICH BUSES: Norwichbuses Blog Time Capsule - First Norwich in 2007 This edition of our Norwichbuses Blog Time Capsule series focuses on Norwich based First vehicles in 2007, a year when Leon was driving at the Norwich operation. FOCUS TRANSPORT: Worst Train Service to be Improved A project to improve "one of the worst train services in the UK" has been given the go-ahead. Journey times between Lincoln and Nottingham are currently slower than they were 100 years ago, according to campaign group Rail Fair. Japan celebrates half a century of its 186mph bullet trains While Britain was closing railways and stations in 1964, Japan was changing the world of rail travel and launching its 130mph bullet-train which celebrated its 50 birthday today. And while the UK's railway network continues to chug along and the £50 billion, 330-mile HS2 line project inches forward, Japan's Shinkansen has continued to speed ahead. PUBLIC TRANSPORT EXPERIENCE: Underground Overground [Part 4] Old Oak Common Observation The railways do, however, maintain a little of the history of the area. The Mitre, a long lost pub on the line of the present Wood Lane and near the bridge over the canal, ... Underground Overground [Part 5] Aspiration Combination at the Station Clearly summats up. And that's before we add High Speed 2 (blue line, below) to the mixing bowl. ON THIS BUS: From Cider Country to Spa… Sometimes, the best trips are impulse ones. Standing in Birmingham New Street station, I decide to take a trip to Hereford – cider country. DENNIS BASFORD: ‘Scene’ on the North Norfolk Railway (NNR) Its pleasing to see that the NNR uses the ‘British Railways’ signage from the 1950’s which is entirely in keeping with a ‘Heritage Railway’. LANCASTER OMNIBUS: Service 2X Timetable Makes it onto Website - Just in time! Stagecoach has now posted the new 2X timetable (which starts today) on its website. Bit more than just a lick of paint, if you take a ride it's been re-panelled re-sprayed and all the interior has been re-fitted and re-trimmed in e-leather. Looks really smart. For a long time people have knocked First for running scruffy buses you can't now knock them for smartening up what they have. 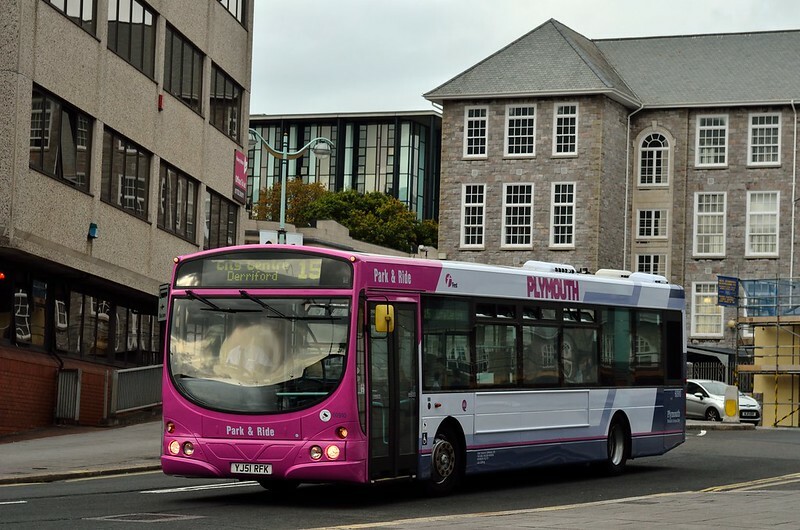 At least the new boss at Plymouth seems to be trying to do something in Plymouth rather than just running the place down!